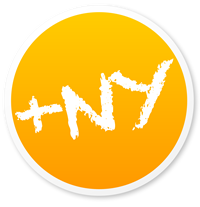 We have exactly one month left until NY Tech Day 2013. I’m super excited because we have so much cool stuff planned already. We tripled the size of the venue (now 77,000 sq ft) and we are doubling the number of exhibiting startups and attendees (450+ startups and 10,000 attendees). It’s going to be ridiculous! That also means that it’s time to step up my game. Time to go into Beast Mode — working more hours than I’d publicly admit and than anyone else will ever know, no more drinking and partying (not that it was ever really all that much to begin with), working harder, smarter, being laser-focused, 6am workouts to keep me sane and 10pm jump rope sessions at the office to keep the energy up. Older PostHow Long Will It Take to Build My MVP?